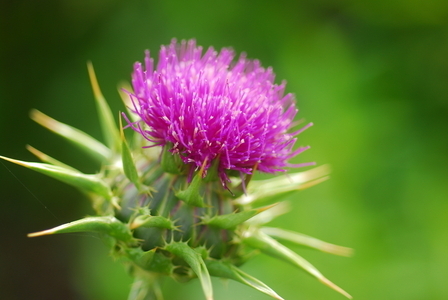 When I studied medicine in Europe, I noticed that it was standard hospital policy to have Milk Thistle extract in the gastroenterology department. It was used as treatment for patients with liver disease, especially liver failure in alcoholic patients. Why this medication is not used for the same purpose in North America is a mystery beyond comprehension. There are so few things that can be used to support the liver, especially when this organ is in crisis, that every single herb with enough evidence should be utilized for this purpose to help patients improve their quality of life. The liver is the primary organ (along with the kidneys and the intestines) involved in detoxifying toxic compounds, both acquired from the environment and the ones which are a by product of our metabolism. Without a functional liver life would be impossible. Most instances of liver failure are caused by what is called liver cirrhosis (which is basically the liver becoming hardened due to excessive production of connective tissue between liver cells), and most cases of liver cirrhosis are due to excessive alcohol consumption over a prolonged period of time. People vary greatly as to the extant that their liver is resistant to such insults, but as a general rule consuming the equivalent of one bottle of wine per day for 20 years will lead to cirrhosis in most individuals. Apparently this process once began is irreversible. However some Naturopaths dispute this. Needless to say this process can be substantially slowed town by proper supplementation and thus such supplementation can extend the life, as well as improve the quality of life of the individual substantially. Milk thistle, and especially its active compound called Silymarin can achieve this. Furthermore, this compound can protect the liver to help prevent the development of liver disease as well as help the liver in performing optimally especially with it’s detoxifying role….Read more….. Categories: Anti-Inflammatory, Antioxidants, Herbal Medicine, Metabolism, Natural Products, Weight Management | Tags: anti-inflammatory, antioxidants, herbal medicine, metabolism, natural products, weight management | Permalink.